Perfectly sized for your kids to study, play video games, watch TV or listen to music, this Futon is a great addition to any child's room. 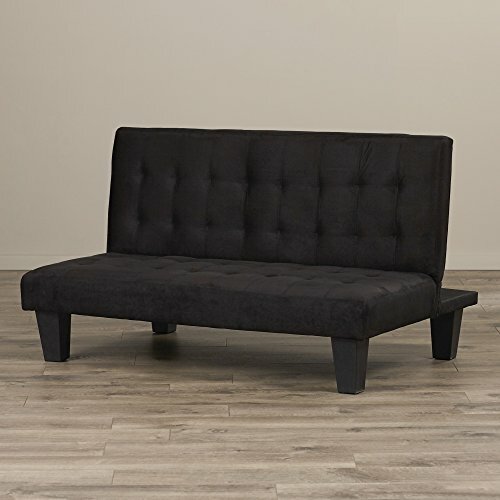 With its microfiber upholstery, this junior futon is simple and casual, complementing any room decor. Its low seat height makes it ideal for kids and tweens. The multi-position back features Click-Clack technology that quickly converts this futon from sitting to lounging to sleep position. If you have any questions about this product by VivRae, contact us by completing and submitting the form below. If you are looking for a specif part number, please include it with your message.